Hi, I’m Danielle Williams from Philadelphia! After high school, I wanted a year to learn more about myself and the world around me before I started college, but I really could have never imagined how incredibly life changing this year would be. I began my year living in Jerusalem and volunteering at ALYN Pediatric and Adolescent Rehabilitation Hospital where I worked with a class of eight babies who all have congenital physical and mental disorders. I became particularly bonded with a baby named Duddi who has been dependent on a feeding tube since birth. After a few months of working with him, I was able to guide him through his first steps and even feed him his first bottle. Only after moving to Tel Aviv did I realize the impact these children had had on me and how greatly I desired to continue helping them develop. Fortunately this semester I have been able to travel to Jerusalem once a week to continue volunteering and the experience has been a major highlight of my time on Aardvark. In addition to working at the hospital, this semester I volunteer in a veterinary clinic and an English-speaking daycare center. I am also redesigning the website and managing the social media platforms for the Tel Aviv Art Studio in exchange for free art classes! 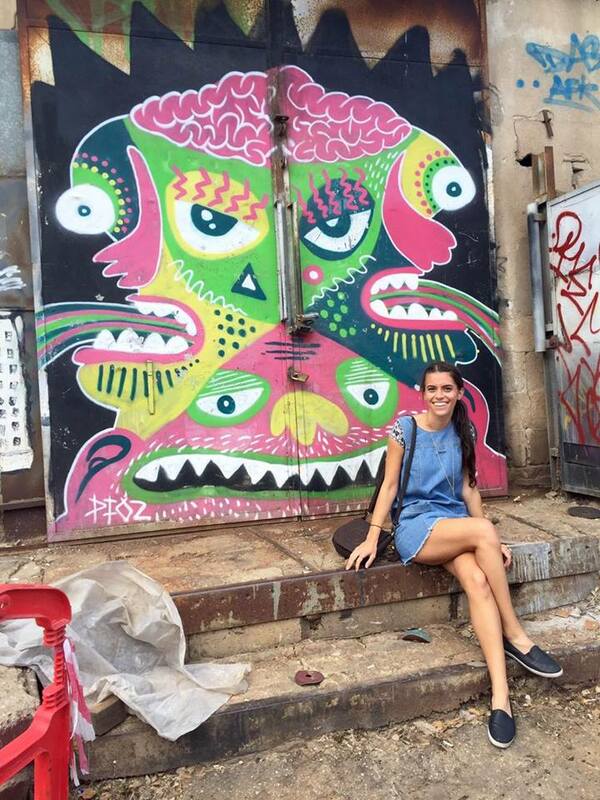 After my internships and Ulpan (Hebrew class), I enjoy exploring Tel Aviv, eating at cool restaurants and cafes, relaxing with friends at the beach, and wandering around the streets of Florentine to see all of the amazing graffiti. Every single weekend I have sought out new adventures, many of which including unbelievable camping excursions. Some of my most memorable weekends have included snorkeling with a view of Jordan, Egypt, Saudi Arabia, and Israel, camping with Bedouins who lead us on camel back to the Ramon Crater, dancing (in costume) through the streets of Tel Aviv for Pruim, sleeping under the stars in the middle of the desert, and camping with 26 other Aardvarkians at the Sea of Galilee. Traveling has also been a huge aspect of my year. Through Aardvark International, I went to Ethiopia and China- both incredibly eye-opening and fascinating trips. This week for Passover break I am going with a few friends to Berlin and Amsterdam and having a full Seder while in Berlin! Although it’s impossible to fully express how meaningful this whole experience has been, I can undoubtedly label it as the best year of my life so far. Aardvark has served as a catalyst for significant personal growth, introspection, and a deeper self-understanding. New challenges I’ve faced throughout the year have spurred me to reflect on my role in the world- leaving me more certain than ever about what is important to me in life. Something really special about Aardvark is the freedom that they give you to explore Israel as an independent adult and the opportunity to make your gap year exactly what you want it to be. I am eternally grateful for the relationships I’ve made, the lessons I’ve learned, and indescribable adventures that have helped me realize how amazing life can be when you seize every opportunity that comes your way.